Finally, I’m super excited to reveal a project I’ve been working on in the past month. I’ve teamed up with HomeSense to share with you my healthy baking hack, and help raise money for Sport Relief. I promise you don’t need any master baker skills to bake these awesome treats! I’ve been baking these brownies for a while now, and they never fail to impress me! I have a huge sweet tooth and when it comes to chocolate I could never say “no”. That’s when these brownies always come to rescue me when I have dessert cravings. Easy and quick to prepare, made with only fresh wholesome ingredients, these brownies have a super healthy secret ingredient: avocado. Rich in antioxidants and fiber, they contain much less sugar and fat than you’d find in a traditional brownie recipe. Plus, they’re 100% dairy-free and gluten-free. Basically almost everyone can eat them, making them the perfect treat to share if you want to fundraise for Sport Relief by holding a bake sale. If you are not familiar with Sport Relief they are part of Comic Relief (organizers of the Red Nose Day) that helps some of the poorest and most disadvantaged people since 1985. This year Sport Relief takes place between 18th-20th March and encourages all of us to get active to raise cash and change lives in both the UK and across the world. You’ll notice I’m sporting a beautiful apron in the video below. Created by iconic designer Orla Kiely especially for Sport Relief, this beautiful apron is available at any HomeSense and TK Maxx stores. 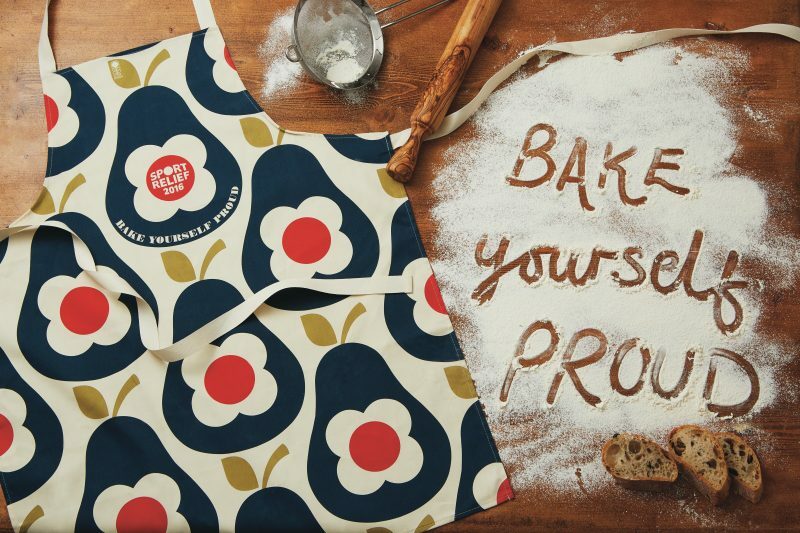 At least £5.25 of each sale from every apron sold goes straight to Sport Relief. The money raised from the apron will go towards helping people living incredibly tough lives. Half of the money raised by the public for Sport Relief is used to make a difference right here at home in the UK, with the other half used to make a difference in the world’s poorest communities. So what are you waiting for? Watch me making these fudgy healthy brownies, grab an apron and bake yourself proud! These fudgy brownies have a super healthy secret ingredient: avocado. 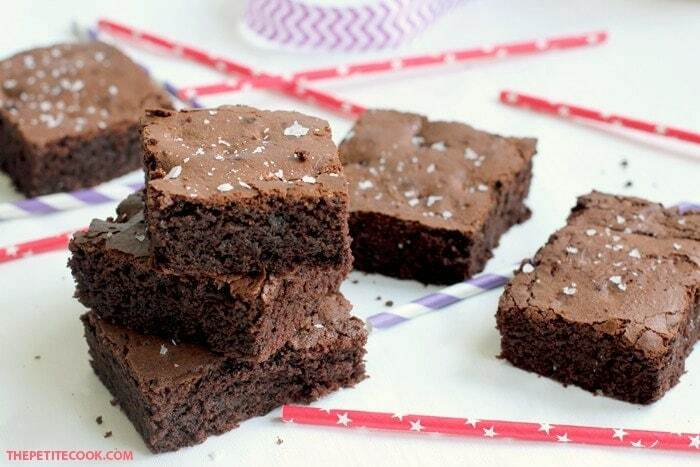 Rich in antioxidants and fiber, they contain much less sugar and fat than you’d find in a traditional brownie recipe. This post is sponsored by HomeSense. All opinions are my own as usual. Thank you for supporting the brands that support The Petite Cook!